When you think about going to the dentist, there are a couple of basic procedures that probably always spring to mind. Sitting in the chair, with the dental hygienist cleaning your teeth, is likely one of them. There’s good reason for that! Oral hygiene and professional dental cleaning are the fundamental basis of a dental practice, and of good oral health. We sometimes refer to oral hygiene and cleaning as preventative care or routine care. 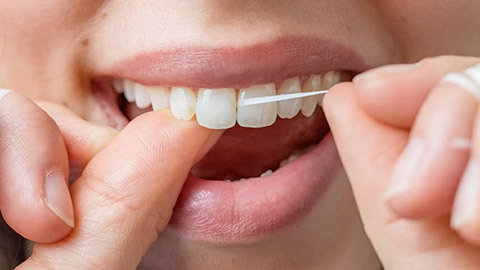 It’s routine because it should be done on a regular basis for the best oral health results, and it’s preventative because keeping up with your regular appointments means your teeth are kept in top-notch shape, and we catch any problems or potential issues early. Oral Hygiene Education - to make certain our patients are practicing their dental hygiene at home with the best information and instruction possible to maintain their oral health between appointments. Regular appointments are essential for your overall oral health, for all these reasons! So the next time you think about sitting in the dental hygienist’s chair, remember you’re doing more than just cleaning your teeth. You’re practicing the preventative dentistry that will keep you and your smile healthy for a lifetime!